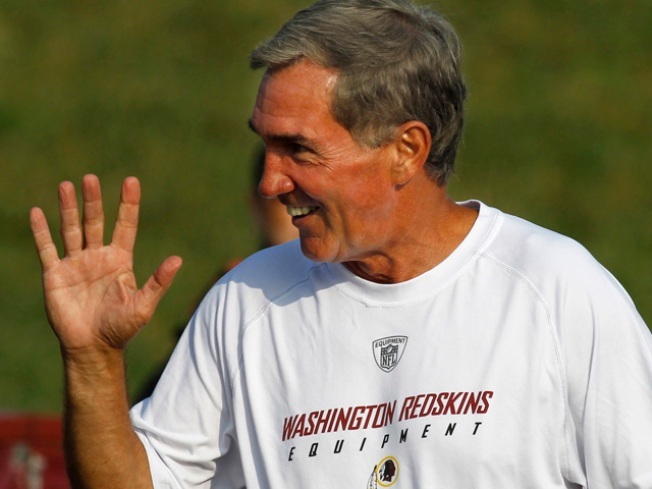 Shanahan to the Cowboys? Say it ain't so! Cowboys owner Jerry Jones caused quite a stir this week claiming that certain Super Bowl-winning coaches have contacted him about the coaching vacancy in "The Big D."
Most speculation is pointed toward Brian Billick, who made his living as a defensive mastermind in Baltimore behind the leadership and freakish abilities of Ray Lewis. But seriously, can you see a Jerry Jones' team built on defense? Yeah, we don't think so either. Maybe that just means we should sit back and see how this saga unfolds. Drama, drama, drama.